Get Dicey: Play Craps and Have Fun was the first book that I wrote and published. It’s a nonfiction guide to the casino game craps based on my years working as a dice dealer in Las Vegas, NV. Way back in 2005 when I released the paperback, the Gambler’s General Store in Las Vegas stocked and sold the book. Midwest Gaming & Travel Magazine featured an excerpt in its publication. Since then I’ve sold the paperback and ebook at this website, Amazon, Ebay, and other online retailers. I’m excited to explore how the audiobook market will receive this title. I’ve produced a nonfiction title for audio previously. 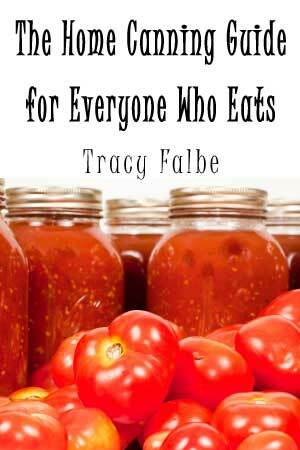 The audiobook version of the Home Canning Guide for Everyone Who Eats has enjoyed consistent sales ever since. I’m assembling the audio files for distribution through Findaway Voices. This platform enables independent authors and audiobook producers to distribute audiobooks to numerous online channels, including Audible, iTunes, Kobo, Google Play, Chirp, and many more. See more details here. The great thing about Findaway Voices is that I get to set the prices for my audiobooks. This differs from ACX, the original way for me to enter the market at Audible and iTunes, where I had no pricing control. Findaway Voices even lets me submit price promotions for audiobooks at various outlets. I anticipate that by summer, Get Dicey will be ready for release in its audiobook form. I agree with the lament of this article that Netflix should have more classic vintage movies on streaming. Although I’m a DVD subscriber too, it seems that there are so many old movies that could find new life on streaming. Because I wasn’t alive during the 1930s, 40s, 50s, or 60s, it’s hard for me to know what movies even existed. Sometimes I find some gems when I take the time to browse the DVD catalog. I’m always on the lookout for anything written by Dalton Trumbo. As a writer, I can learn a lot from him. This article about a man in New Jersey facing criminal charges after cheating at craps in a casino reminded me of my days working in Las Vegas. The tactic described in this article, in which a player snatches away pass line bets or adds to them depending on the roll of the dice, was something that dealers and floor people had to watch for. I saw it a few times. I don’t recall the casino ever involving law enforcement, but casino security in Las Vegas is generally worse than the police! When you read the article, note that the man is now in trouble over a measly $755. Margaret Mitchell’s masterpiece “Gone with the Wind” shows women constrained by a society that gives them no control, except over the size of their waists. Over at Medium, I published an essay about one of my favorite novels, “Gone with the Wind” by Margaret Mitchell. The epic backdrop of the Civil War and Reconstruction places “Gone with the Wind” by Margaret Mitchell at a pivotal period in U.S. history. The novel presents the cultural view of Southerners, particularly affluent Southerners, who wished to cast a rosy light upon race relations and portray the status quo as a social system accepted by all parties, except of course meddlesome Yankees. Pondering the novel from this view cleared up some of my discomfort with how the novel handled racial issues. 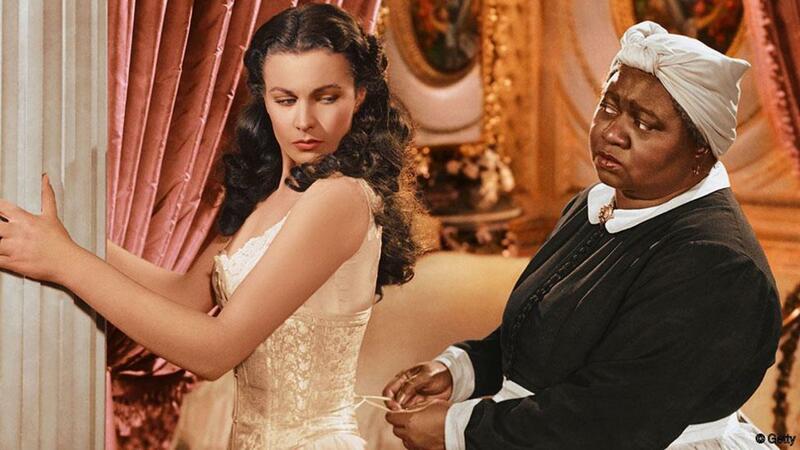 As historical fiction, it reveals the world through the eyes of the heroine, Scarlett O’Hara, and the plight of slaves and racism weren’t priorities for the her. She cared about being rich, and her selfish determination made her a literary legend. Scarlett fascinates readers because she’s the ultimate anti-heroine. She’s selfish and fake. She’s not a good mother. She goes after her goals with relentless self-centered focus and eventually drives away the one man who genuinely liked her for who she was. She’s unforgettable, and her struggles in a hostile world create an astonishing narrative that has been popular for decades on an epic scale. Published in 1936, the novel won the Pulitzer Prize in 1937, and a Publishers Weekly article in 2011 on its 75th anniversary documented its immense sales volume. The original 1936 release sold 176,000 copies. Two million copies had been sold by 1938. Simon & Schuster that now owns the original publisher reports that it sells almost 75,000 copies every year. Mass market editions between 1993 and 2007 sold 650,000 copies. Read the complete essay at Medium. Ebook box sets have emerged in the marketplace for two reasons. They offer readers excellent value and provide an additional platform for authors to promote their works of fiction and nonfiction and profit from them. With digital publishing, enormous amounts of content can be packed into easily downloadable files. As an author with 10 novels published, I began creating box sets a couple years ago. These extra items create additional points of discovery by readers browsing at online retailers. My first project bundled three free series starters. I called it the Beginnings Box Set, and it’s one of my top free downloads, especially at iBooks. 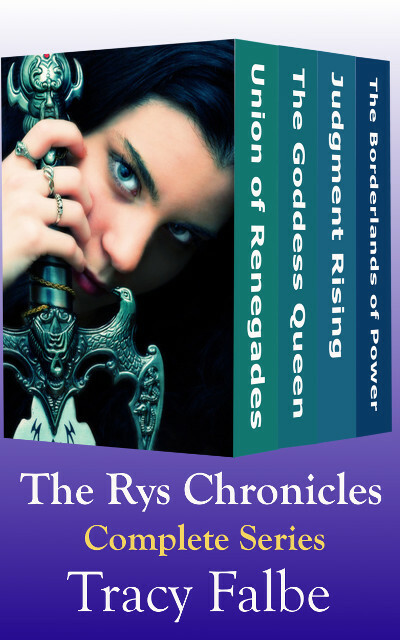 Then, I created The Rys Chronicles Complete Series box set. It bundled the four books from the first epic fantasy series that I wrote, and I sell it for $8.99. This bundle price offers readers a discount over buying the titles individually. Does The Rys Chronicles Box Set lower my overall sales? No. By selling the value priced bundle I believe that I capture some revenue that might not have been gained from readers who don’t continue after Book 2. Although I’ve long maintained a good sell through rate on each book of The Rys Chronicles series, there is an erosion of sales between each book in the series that is likely unavoidable. Even if people liked Book 2, they might see something else that interests them and move on. Or, a reader might like my work, but they’re not into paying for fiction, so the person goes back into the endless pool of free ebooks and forgoes ever reading a series all the way through. Individual copies of The Rys Chronicles books continue to sell as well. Some people may not want to invest in a box set upfront, or they don’t notice its existence. 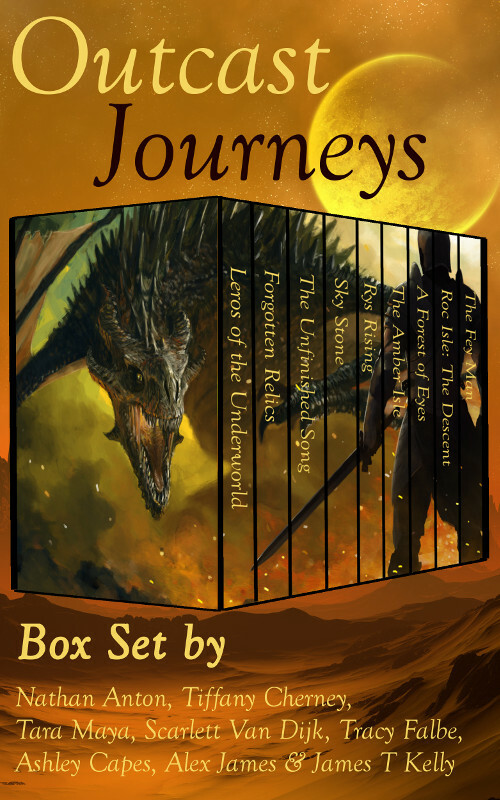 While I was entering the world of box sets, I happened to receive an invitation out of the blue to submit a novel to a multi-author fantasy theme box set that would be sold for only $0.99. A representative from Paper Gold Publishing contacted me on Facebook in 2015 and made the offer. I’d need to chip in on production, but afterwards I’d get my share of royalties. As an independent author, I possess all rights to my written works, so I was able to make the decision to contribute Werelord Thal: A Renaissance Werewolf Tale to the project. The publisher did not require exclusive rights, which meant that I could continue to publish Werelord Thal wherever I liked on my own. 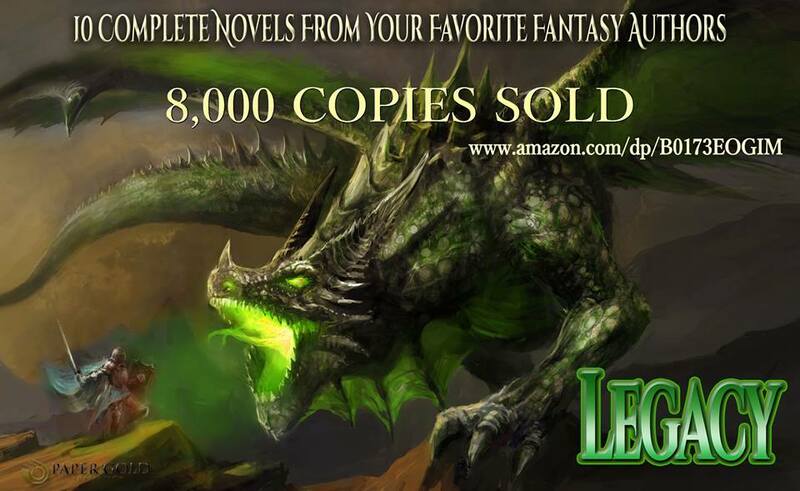 I ended up with a slot on Legacy, which has gone on to sell over 8,000 copies on Amazon. Although my monthly share of royalties is modest, the box set promotes the sequel to Werelord Thal, Journey of the Hunted, which produces additional revenue each month. A few of those readers might even go on to buy more of my novels. Encouraged by my experience with Legacy, I decided to venture into my own project. In a case of monkey see monkey do, I embarked upon finding authors to join me in an ebook box set production. I eventually gained contributions from seven other indie authors and produced Outcast Journeys: Fantasy and Sci Fi Box Set by Eight Great Authors. Unlike Legacy, which is only available on the Kindle platform, I chose to have Outcast Journeys distributed to all retailers available to me. I sell all of my other ebooks at multiple retailers and would not want to exclude my box set project from those opportunities. A $0.99 box set containing multiple authors invites readers to impulse buy, especially when they’re searching for new authors. Every box set sold at Nook, iBooks, Kobo, Smashwords, and Google Play creates a chance that more of the contributors’ titles will be sold at those retailers. I sell Outcast Journeys at Amazon too, and our promotional efforts have produced sales. The box set entered the top 20 in fantasy anthologies on September 15th. Although the Kindle store may emerge as our top source for sales, Amazon pays the lowest amount per unit on a $0.99 ebook, so the higher per unit revenues obtained at other retailers remain important to overall income. Because Outcast Journeys was just released in August 2016, I’m still in the early stages of this project. Will box set sales hold steady? Will the publication slip into obscurity? Will something in between happen? Even a value-priced, multi-author anthology faces competition. Promoting an ebook is hard work, but each ebook out there increases exposure for the author or authors. 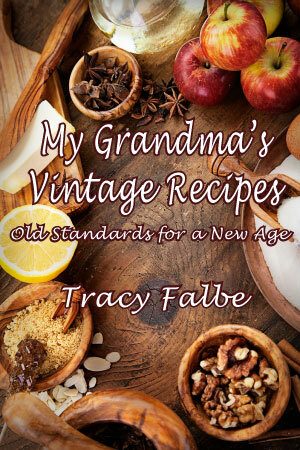 Each extra title in the marketplace gives readers one more chance to see my work. At this point, I’m committed to developing more box set projects for myself and others. If you’re interested in collaborating with me on a box set, please contact me. Modern so-called civilization has created a global food system. Most of the food on supermarket shelves is trucked in from hundreds if not thousands of miles away. Of more concern, millions of people live their lives without engaging in any type of food production activity. In essence, most people depend on restocking their pantries with frequent trips to stores that are supplied from far away. When you think about it, this is extremely odd behavior for an animal. Most animals live near their food supply and concern themselves with food-gathering activities. Granted, we humans have higher pursuits like filling out insurance paperwork or playing games on smartphones, but, essentially, we’re dismissing our natural instinct to see after our own basic needs. This does not set well with everyone, myself included. Although I’m still largely dependent on the global food system, primarily for flour and oil and luxuries like coffee and chocolate, I have taken many steps over the years to produce food at home. I grow fruit and vegetables and source local produce, meat, and eggs from local farmers markets. I keep a store of food that would feed my family for a few weeks. It’s not a food hoard, but I certainly won’t be desperate in under a week. I believe that more people should engage in food production activities in order to supplement the supply of food distributed by giant companies. When more people take responsibility for feeding themselves, society as a whole is more resilient and protected from food shortages and price spikes. 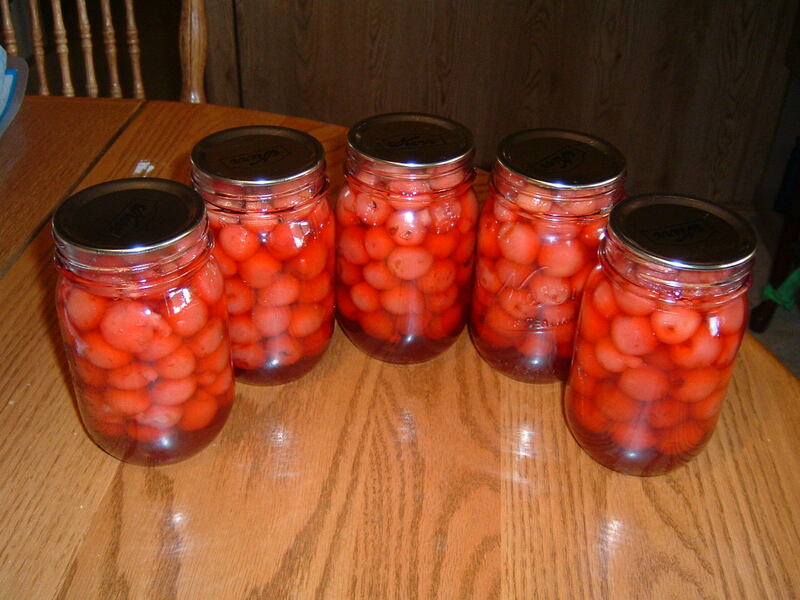 Starting in 2006, I began learning how to preserve food with home canning. This skill is easy to master and incorporate into your lifestyle. Food preservation is an essential element in food security because it allows you to build up a small stockpile of shelf-stable food. As a bonus, the food you preserve at home will be tastier and higher quality than anything you can buy in a can at the store. My humble attempt to encourage and enable people to educate themselves about food storage is The Home Canning Guide for Everyone Who Eats. 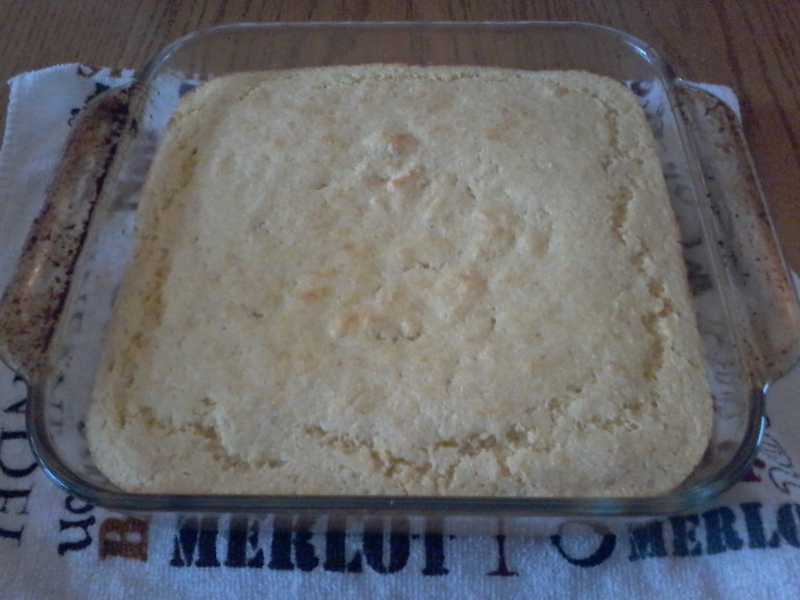 The guide quickly explains the basics and provides a few recipes to get you started. As a 99-cent ebook, it makes the information accessible. You can even print out the PDF version I sell at this website. To read more about the guide visit the Home Canning page.